I fully realize if it sounds too good to be true, it probably is and There Ain’t No Such Thing As A Free Lunch (TANSTAAFL) immediately jumped into your head when you read the title of this article. However, if you are 62 or over, you may have just found the goose that laid the golden egg. A reverse mortgage is exactly what the name implies. Rather than you paying a monthly sum of money to pay down a mortgage, you have the option to not make any mortgage payments making your mortgage balance go in reverse. There are three types of reverse mortgages and all have the same eligibility requirements. You must be at least 62, live in, and own, your home and sign a contract. You must also have equity in your home and the inherent interest rate is based on what the lender is currently charging (more about this later) on non-reverse mortgages. The lender, by the way, will also have your property appraised for which you may be charged. There are no income restrictions such as those imposed by Social Security and most are tax-free since they do not involve additional features such as an attached annuity. They also do not affect your social security benefits nor your Medicare entitlements. The FTC’s website, https://www.ftc.gov/bcp/online/pubs/homes/rms.htm has an excellent article on reverse mortgages but it also does not discuss mortgages with additional features. Another reason to consult with a tax professional. This tool called reverse mortgage is actually a loan, hence an interest rate, which allows senior citizens, or as some say, the elderly, to convert part of their equity into cash without having to sell their home. Because it is a loan in reverse you are receiving a monthly sum and not paying a monthly amount while you live in your home. However, this loan must be repaid and repaid with interest should you sell, die, no longer live there as your principal residence or reach the end of the pre-selected loan period. You remain responsible to pay real estate taxes, insurance, and all attendant maintenance expenses which, of course, you would have to pay with, or without, a reverse mortgage. With this explanation, the picture becomes more focused, right? You enjoy a monthly sum, tax-free and non-repayable until a date sometime in the future, while remaining in your home. As close to a win-win situation as one can get in this day and age. It doesn’t take a rocket scientist to realize anyone who is cash poor but house rich should at least investigate this tool. However, like any other instrument involving your signature on the dotted line involving financial obligation, you must have some preliminary information. I mentioned there are three types of reverse mortgages. The first is the single purpose reverse mortgage. These are offered by some state and local government agencies and nonprofit organizations. They may not be available in your area. Call your county’s Department of Senior Services. Their phone number is in the white pages under the listing for your county. Single purpose means exactly that. The proceeds may be used for only the purpose specified by the lender and generally, are only made to people with low or moderate incomes. If you call your county, be sure to ask if their reverse mortgage is a single purpose and what are the limits. The second type of reverse mortgage is called a Home Equity Conversion Mortgage (HECM). The federal government insures these mortgages and they are backed by the Department of Housing and Urban Development (HUD). The upfront costs are generally high especially if you plan on staying in your home for a short period of time but they carry no income or medical restrictions and can be used for any purpose. HECMs also require all applicants to meet with a counselor from an independent government-approved housing counseling agency. The FTC says The counselor must explain the loan’s costs, financial implications, and alternatives. For example, counselors should tell you about government or nonprofit programs for which you may qualify, and any single-purpose or proprietary reverse mortgages available in your area. 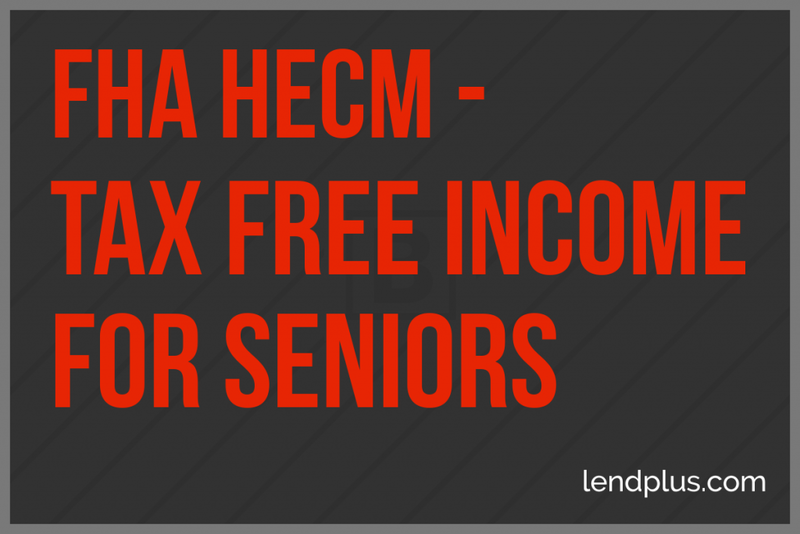 An additional benefit of a HECM mortgage is the nursing home clause. Should a borrower have to move out of her home and into a nursing home or other medical facility, she has up to 12 months before the loan becomes due. This enhances financial planning. A reverse mortgage, cost-wise, is like a non-reverse mortgage. The lender usually charges loan origination fees, closing costs, insurance premiums (for insured loans) and service fees which are all set by the lender. TILA forces the lender to disclose this information. TILA does not force the lender to tell you the reverse mortgage may, or may not, use up all of your equity. If a non-recourse clause is included in the contract, and most have them, you must be told you will not owe more than the value of your home when the loan is repaid. This is a good thing. The key is to read and understand every clause in the contract before signing and do not be afraid to ask questions about what you donít understand. Don’t let a huge monthly payment cloud your judgment and decision-making ability. After reading the above information you may have decided the goose with the golden eggs is really a vulture waiting to pounce on your carcass. Or, you may have decided the goose’s eggs are worth your time and attention. Either way, you are now a more informed consumer. Previous: Previous post: Should I Rent or Own a Home?